Spend an hour with Tarot friends from around the globe! Join us from your computer, tablet, smartphone, or simply call in. We'll share readings, interpretations and tarot fun! This is a free event. There is no fee to attend but love donations are accepted. 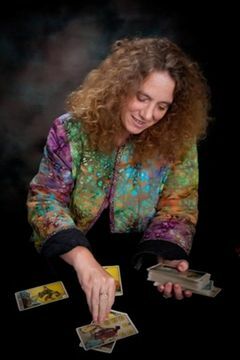 For more information please visit the event listing (http://tarotcircle.org/events/4104) on the Tarot Circle (http://tarotcircle.org/) website.